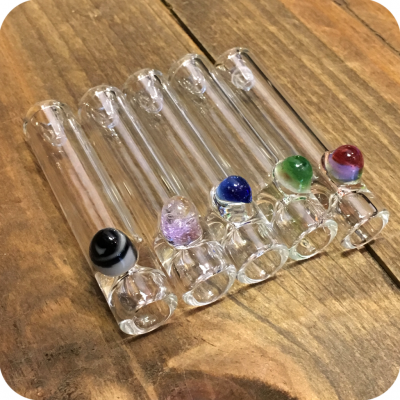 The glass bat with colorful knob is the perfect piece to simplify your smoking ritual! 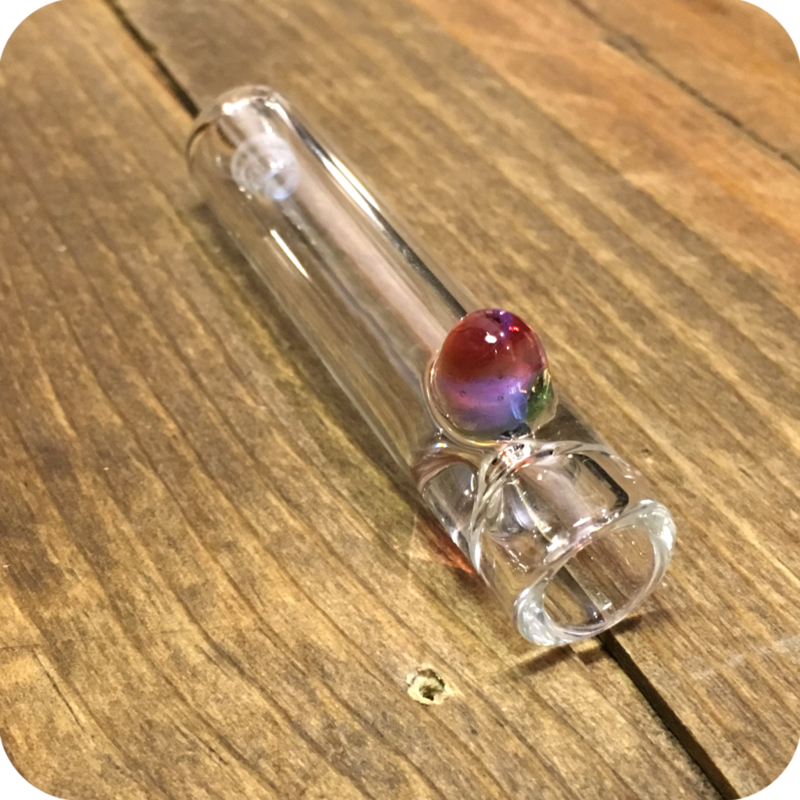 The glass bat with colorful knob has everything you need for a clean, quick smoke. The bowl is deeper than that of a one-hitter, but the pipe itself is only around 3 inches long. This pocket sized piece is perfect for taking on the go! While it’s a relatively simple design, each chillum has a unique blown-glass bubble right behind the bowl. 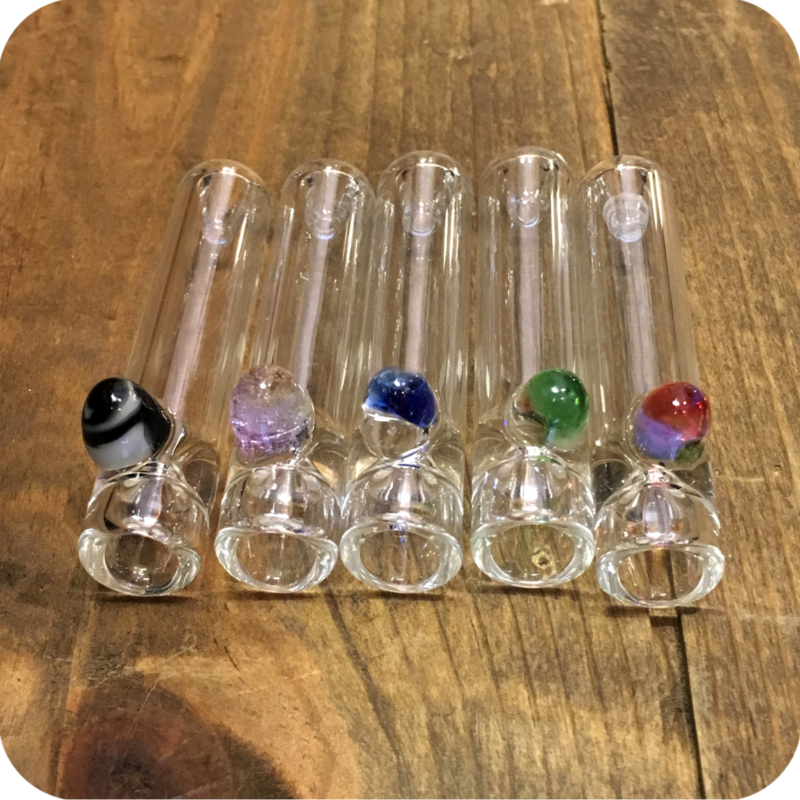 Ranging in size, color, and clarity, each chillum has its own personality. When you’re shopping for a one hitter, you’ll encounter a lot of metal and ceramic bats on the market. However, smoking out of glass is the healthiest option out there! 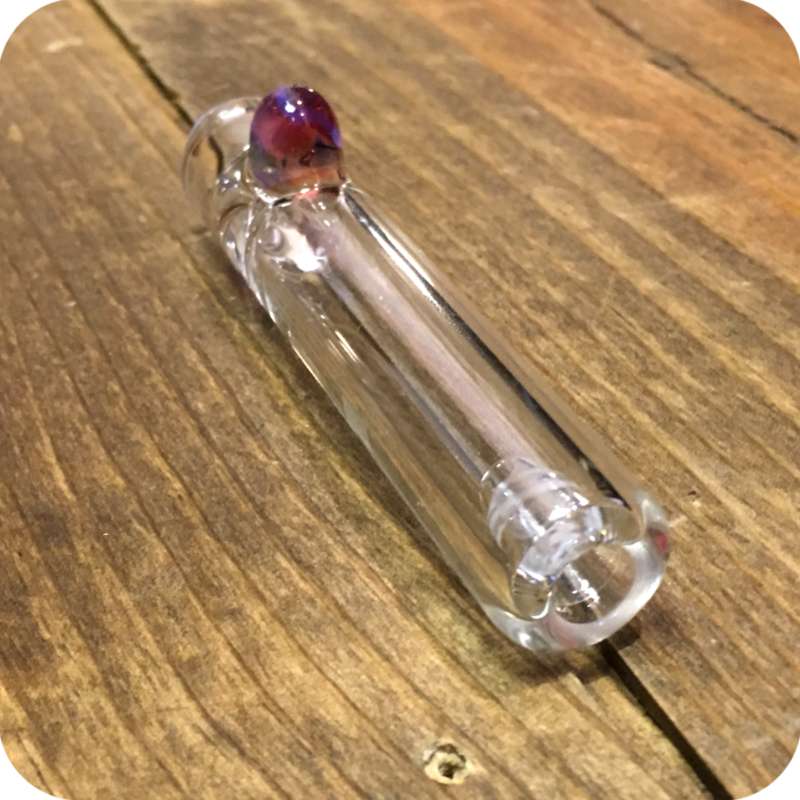 To learn more about the benefits of smoking from a glass piece, check out this page! Like this pipe, but looking for something with just a little more flair? 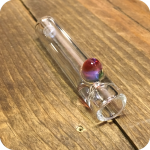 Check out it’s older sister, the colorful bubble glass bat. Finally, do not forget to swing by either one of our three Brooklyn store locations to see what else we have to offer! We are located at 12 Wilson Ave in Bushwick, 518 Grand Street in Williamsburg, and 377 Metropolitan also in Williamsburg. 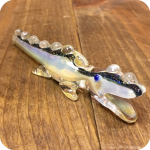 Categories: Glass Pipes, Glass Bats. 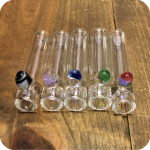 Tags: chillum, glass bat, Glass Bat With Colorful Knob, one-hitter, smoke, smoke shop.